Sometimes when a restaurant is relatively smaller, it can be easily overlooked. But small does not mean less - sometimes this aspect serves as an advantage, especially when flavors and overall dining experience more than make up to what it seemingly lacks in size. 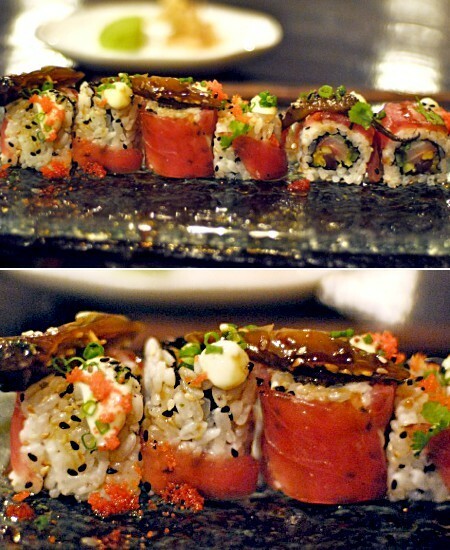 Make room for Sensei Sushi Bar, a culinary vanguard which proves that great things can come in smaller packages. 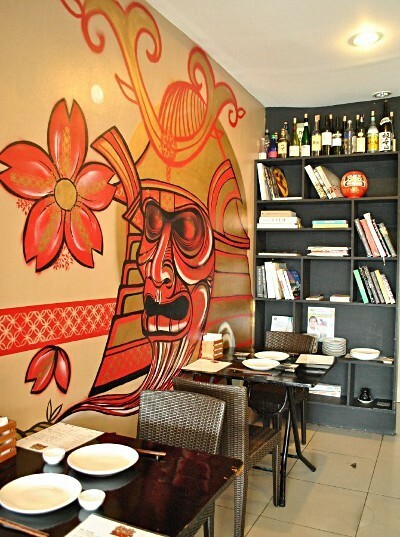 Sensei Sushi Bar opened its doors in November of 2011 and is owned and managed by Chef Bruce Ricketts (who is also responsible for the yummy Sisig Taco and Spicy Ramen of Food Truck by Chef Broosy found at Cucina Andare). Chef Bruce began his career in the kitchen in San Francisco as a dishwasher, then as a waiter and later on as an executive chef. 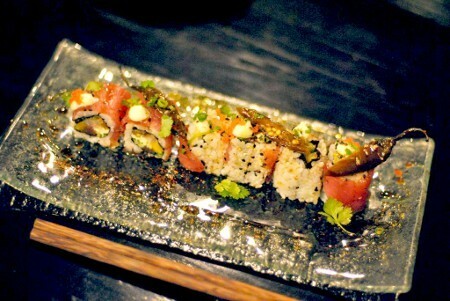 At Sensei Sushi Bar, good food is not the only thing you indulge in. 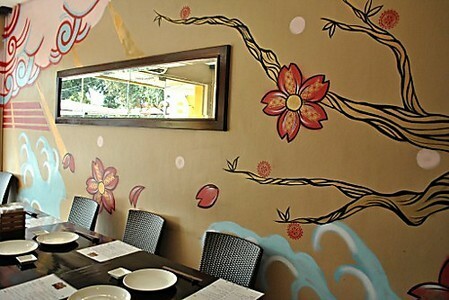 The place is casual but classy and comfortably sits about twenty-five people. This means that you can enjoy having a conversation with someone, long or longer, without competing with the loud din that sometimes come with bigger establishments. 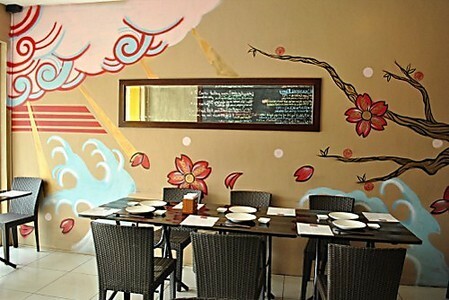 A colorful mural is painted on one side of the room, a work of art by street artist Dee Jae Pa’Este who is just one of the restaurant’s happy customers. The large blackboard with the day’s specials written on it is found on the other side. There is also a smaller board that lets customers know of their reservation-only 15-course tasting menu and that they can bring their own bottle with no corkage fee (yes, such a place exists!). Whether you have a seat near the door or at the bar, you have a chance to interact with the chef himself, who personally prepares the food. 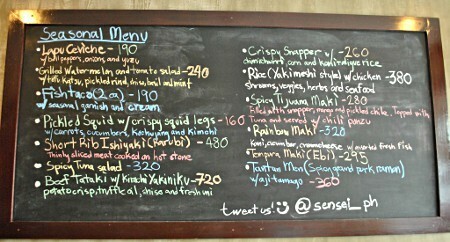 Sensei Sushi started out with having only a seasonal menu that changes every few days and for good reason. Chef Bruce makes sure to get the best ingredients, which assures customers they are getting the freshest produce on every single dish, every time. As people started to know the place, there was a demand for some of their dishes which prompted them to put together a regular menu. “This is a collection of last year’s menu, since we opened until the last day of 2012. We used to write on the board, we used to change it. But people came back for particular dishes. So when people ask now “What’s your bestseller?” we just give them this whole menu,” Chef Bruce explains. Their regular menu is composed of tempura, maki, sashimi and ramen (made of house-made ramen noodles) dishes and also includes a couple of dessert choices. I was able to try three dishes from their seasonal menu. 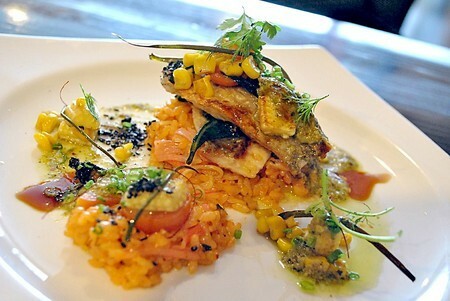 First up was a beautifully prepared Crispy Snapper with Chimichurri, Corn, Kani and Aligue Rice (P260). 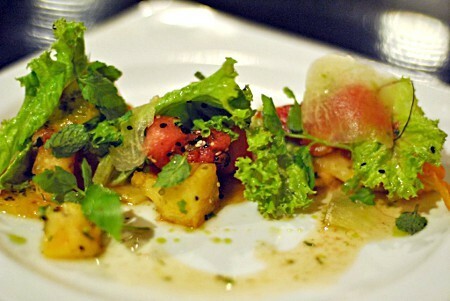 The chimichurri sauce is made up of shiso or Japanese basil, dill, mint, parsley, oregano and garlic all blended together. 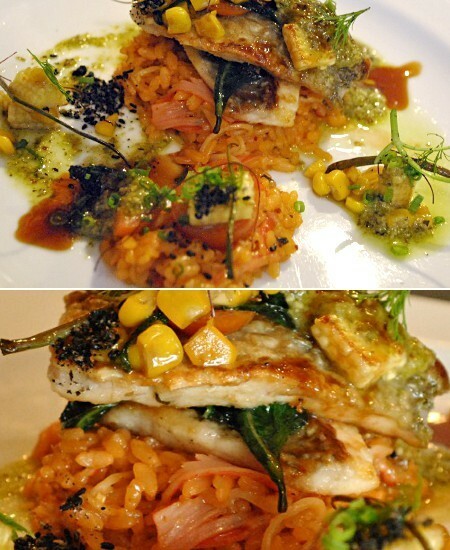 It was a perfect medley of flavors and texture, from the tender fish lying on top of tasty aligue rice, to the crunch of corn and softness of crab meat, married by the taste of the herbs. 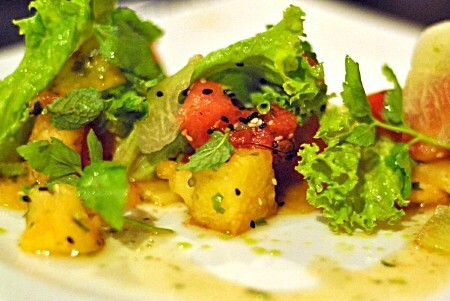 Next was the Grilled Watermelon and Tomato Salad (P240), made with tofu katsu, pickled rind, shiso, basil and mint. The sweetness from the red and yellow watermelon is balanced by the nutty, earthy taste from the sprinkle of black sesame seeds. And last was the explosive Spicy Tijuana Maki (P280), filled with snapper, mango and pickled chile, topped with tuna and served with chili ponzu sauce. The richness of the kewpie mayo, the crunch from the cucumber, the kick from the chile and the tanginess of the ponzu combined was like a Mexican street party in my mouth! Truly avant-garde, Chef Bruce trains his staff to rely not on recipes but on their palates and to be “consistently inconsistent” when it comes to plating, which gives room for artistic expression. At Sensei Sushi, you not only fill your tummy with good food, you also leave feeling like you just had a one-of-a-kind lesson on degustation. From South Superhighway, exit to Sucat. Then from Sucat Road, take a tricycle at Lopez. From El Grande, turn left to Aguirre Street. Go past the church and DNK Gym. 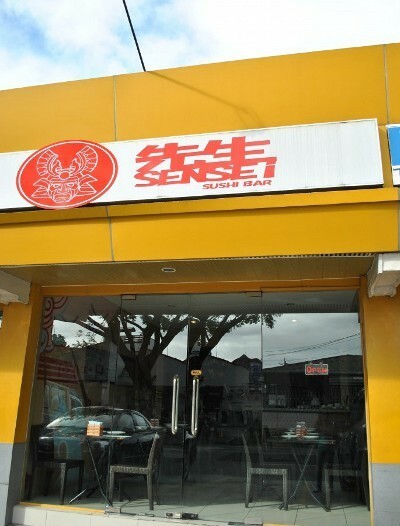 Sensei Sushi is a few meters away at the left side.